Well now you only need one! Try out our new tDCS Carry Pouch! 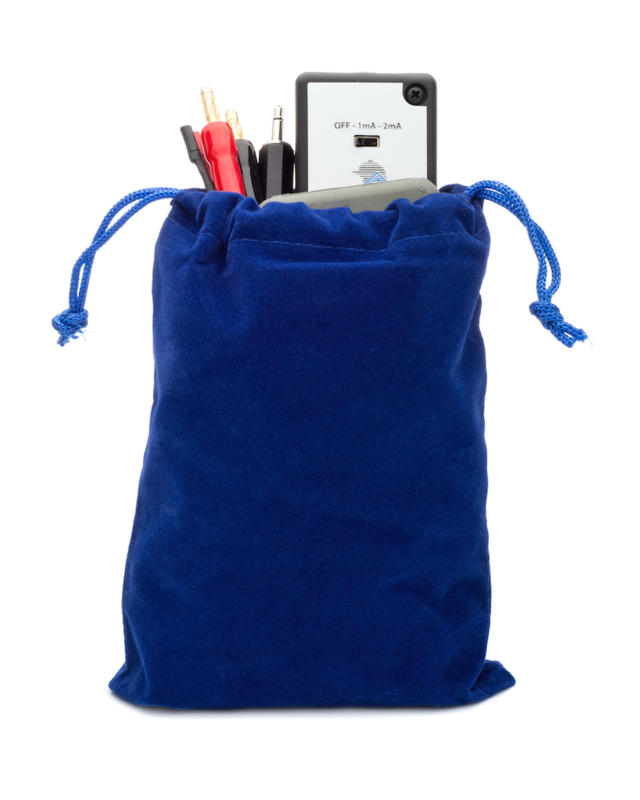 This soft quality blue velveteen carry pouch will allow you to carry The Brain Stimulator or The Travel Model and any accessories you may have. It’s even big enough to fit Amrex Sponge Electrodes! Now you can safely carry your tDCS Kit with you anywhere without having to worry about losing anything. Keep your Device and accessories all in one place with this soft and stylish Carry Pouch! This handy, draw-string carry pouch can not only hold The Brain Stimulator and The Travel Model, but all of your accessories as well! In testing out this pouch, we found that we could comfortably fit in The Brain Stimulator along with a pair of either Alligator Clip or Amrex Electrode Cables or Adapters, AND a pair of 2×2″ OR 3×3″ Amrex Sponge Electrodes! Now you can literally have everything you need to engage in a tDCS session on the go. Additionally, once you have everything inside, the drawstring on the top of the bag allows you to tightly close up the pouch so you won’t have to worry about losing anything.